I love the feel and look of a scarf! They can make a fashion statement or be there for the warmth against the cold. 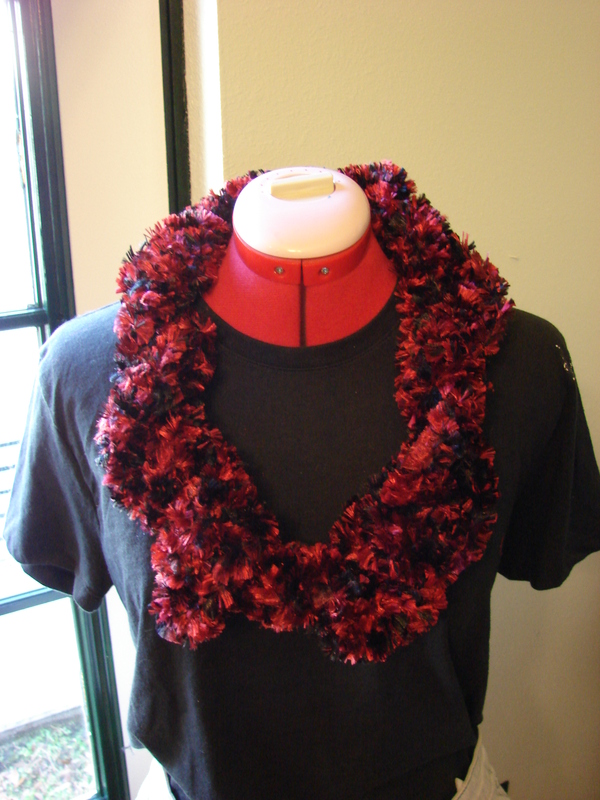 The scarf can be made from a variety fabrics and fibers. They also can be worn different ways to accomplish that certain kind of look or for necessity. Here is one that you do not need to sew, knit or crochet! Looks Great and the Free Pattern is below. 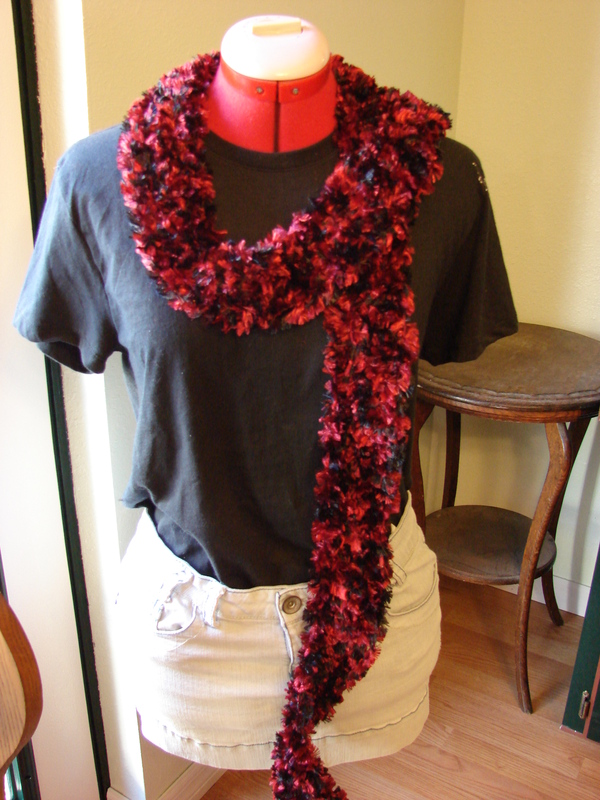 Knotted Fringe Scarf Fun crafts Pattern | Red Heart. Ancient Rome is one of the first origins of the scarf, where the garment was used to keep clean rather than warm. It was called the sudarium, which translates from Latin to English as “sweat cloth”, and was used to wipe the sweat from the neck and face in hot weather. They were originally worn by men around their neck or tied to their belt. Soon women started using the scarves, which were made of cloth and not made of wool, pashmina, or silk, and ever since the scarf has been fashionable among women. It is never too late to learn something new! I had no idea that the precursor for the Necktie was a Scarf. 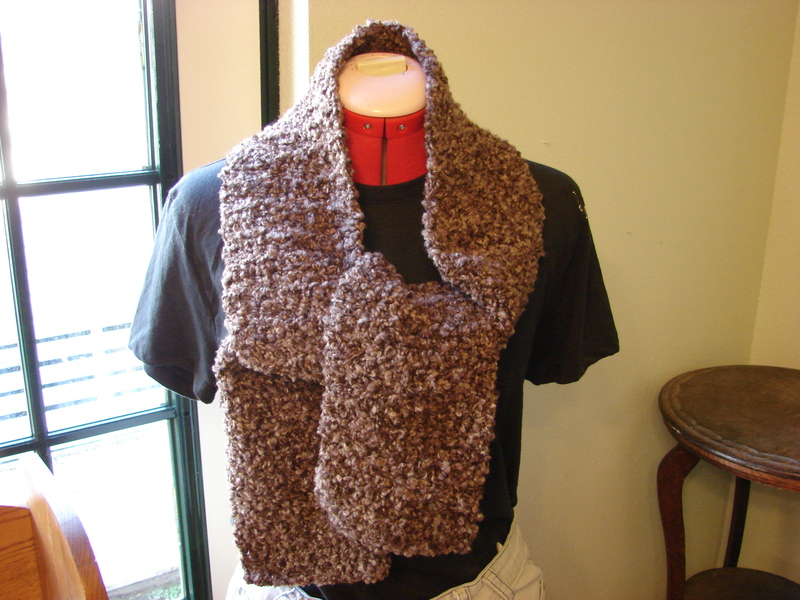 Below are some variations on scarves that can be crocheted. Have fun with them and make your own Fashion Statement! Another version of a scarf and looks like it is knitted. Pattern is below picture. Brioche-Look Cowl Crochet Pattern | Red Heart. Arm Knitting has become such a big trend. I have not tried it yet. That is on my to do list, which by the way is way too long!! 🙂 Below you will find a link for Arm Knitting from the Crochet Crowd! 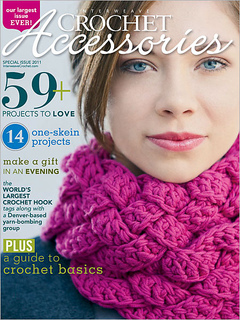 Arm Knitting + Video Tutorial – The Crochet Crowd. This braided scarf is beautiful and unique. I love the fact that this is made from strands of the foundation stitch. This pattern is available from Raverly to purchase. Ravelry: Rapunzel Scarf pattern by Kristen Hein Strohm. Thanks as always for stopping by! I do have scarves available in my Shop for your gift giving pleasures or for your own personal use! Wow this year has just flown by. I can’t believe that Christmas is almost here! The last few months I have been busy getting our house ready to sell! Now that I am done painting, cleaning and all that goes with getting ready to sell a home I can finally get to what I love most. You guessed it Crochet!! Okay I have got to be honest I did find some time while I was watching TV to get some crocheting done. Here is what I have finished. I am not real sure I am happy with the way this one turned out. I am thinking that I will have to do some more experimenting with this type of yarn. Which is Bernat Boa! I love this yarn which is Bernat Soft Boucle. The way it works up is so nice and soft. This yarn also works up real fast. 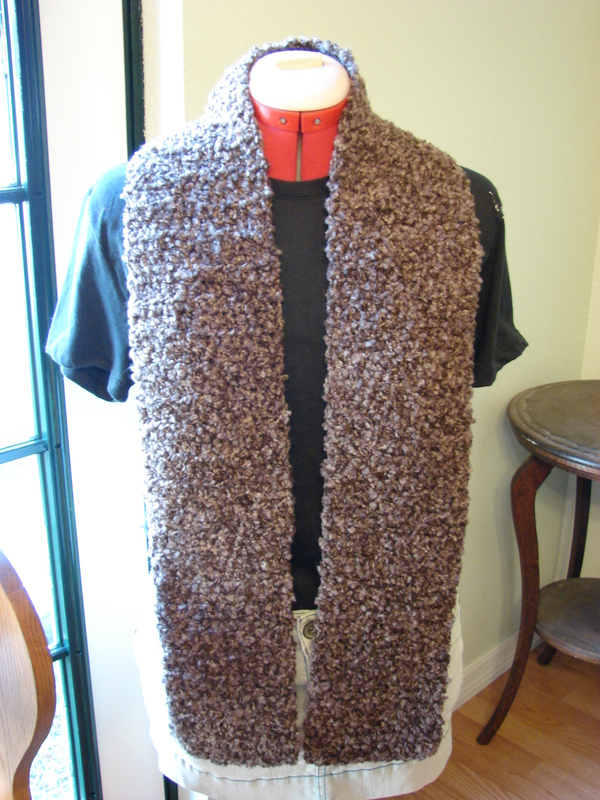 This scarf will definitely keep you warm on a cold winters day! Are you all ready for Christmas? Do you have all the decorations and the tree put up, the gifts all bought and wrapped? Here is a cute Santa Hat to make for the little ones! Click on the image to get the pattern. 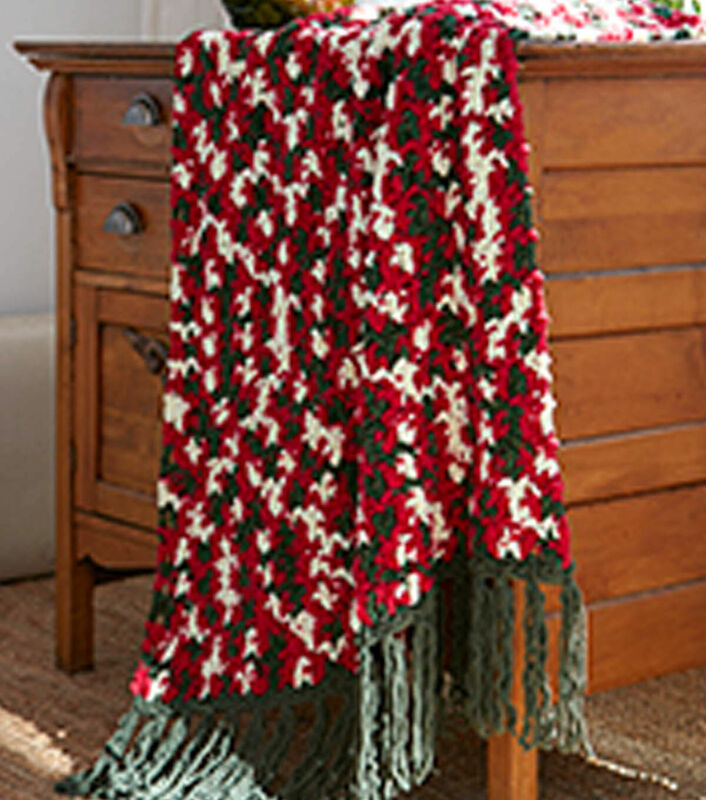 A Cozy Christmas Afghan to make for those you love! I love to cuddle up with a blanket on those cold winter nights.